No, I haven’t forgotten about the blog. 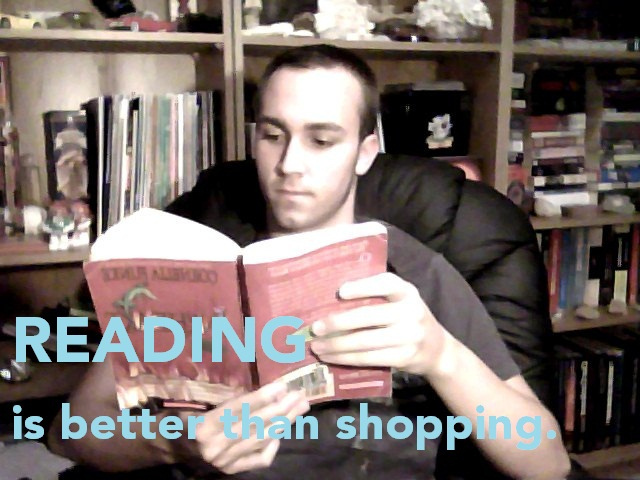 I’ve just been busy moving, getting a job, and reading! In fact, I wrote this post because wanted to talk about one of the books I just finished. While, technically, I read California Lieutenant Governor and ex-San Francisco mayor Gavin Newsom’s book Citizenville: How to Take the Town Square Digital and Reinvent Government for work, I was also interested in what he might have to say about changing the way governments interact with their constituents. On the surface this might seem to have little to do with social media activism, but looking back through the activist movements I’ve profiled here on the blog – whether it was protesting legislation, like in the case of SOPA and PIPPA or efforts to overthrow authoritarian leaders, as in the Arab Spring – I noticed that most involved the government. After all, government is a big part of most people’s lives. Newsom raises this point stating that, “Government connects ever part of us-from the air we breathe, to the water we drink, to the lights that are on, to the road we drive on. We experience government every single day, directly and indirectly.” (p. 15) While most of the time we take these functions for granted, given the wide reach of the government, is it any wonder that people are constantly finding faults and reasons to protest against it? The activism around changing (or overthrowing) the government seems even more understandable if you accept Newsom’s premise that the government has failed to keep pace with the connected, digital age the rest of us are inhabiting. Throughout the book Newsom points to ways that governments can, and in some cases already are, using technology to empower constituents to take a more active role in the government and to better respond to their needs. He suggests opening up government data to the public, using contests and gaming theory to inspire innovation, and re-envisioning government as a platform on which individuals and the private sector can maximize creativity and usefulness (i.e. build government’s technology to enable for further development in much the same way that Eisenhower’s interstate highway system enabled the mail to travel more quickly and lead to the development of industries like fast food and trucking.) (1) Newsom envisions a ‘Citizenville’, modeled after the popular on-line game Farmville, where technology and gaming theory would make it easy and fun for people to look after their neighborhoods and where the government would be transformed from a top-down hierarchy into something powered from the bottom-up with little stratification. While I tend to agree with Newsom’s suggestions (government data paid for by tax payers should be easily and freely accessible), I felt that the book might be oversimplifying some things for the sake of readability. I also found the second half to be somewhat repetitive and several of the anecdotes to be annoyingly self-aggrandizing. Also, as a self-described believer in big government, I was wary of the way that Newsom sometimes seemed to be advocating that governments to step back and allow for private entities to take on the lead on innovation. It’s easy to see why this is attractive but I worry that private citizens or companies might not have the best interest of the public and especially of the financially powerless/socially marginalized at heart. These criticisms aside, though, I thought the book included some exciting ideas for ways to change government for the better (government coming out day, intergovernmental sharing and competition, etc). I was also inspired by passages such as this one: “here’s a radical thought: Maybe it’s not up to those of us in government to make this [shift to more citizen participation] happen. Maybe people should simply grab that power back rather than waiting for us to make it possible for them.” (p. 186) Sounds like a call for activism (and dare I say hacktivism…) to me! Also, while Newsom was generally gung-ho about moving on-line and into the digital age (he argues that we’re there already and there and there’s no turning back), I appreciated that he raised some concerns about privacy and security but also about what he (following the lead of Eli Pariser who has a book by the same title) calls the “filter bubble.” This refers to the way that smart technologies and social media sites track our preferences and respond by showing us more of what we like rather than presenting us with information that might challenge our ideas. Lack of exposure to different viewpoints, whether intentional or determined by our social media technologies, should be a major concern for all web users, but particularly for activists! 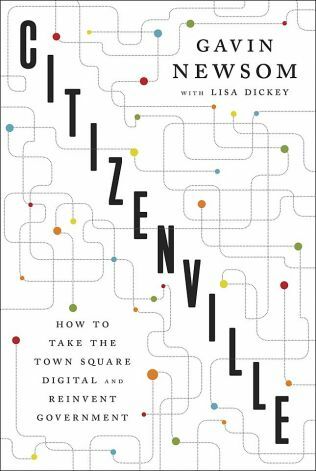 Have you read Citizenville? If so, I would love to hear what you think. Does this book contain any lessons for activists using social media? I mentioned yesterday that I’m in the midst of learning about a new social media platform. Well, the platform in question is called MindMixer and folks, I am struggling with it. The basic premise seems pretty clear: it’s designed as a virtual town hall – basically to collect feedback and suggestions from the community. Since MindMixer allows users to share ideas which are then rated and commented on by other users before (presumably) being seriously considered by governments/institutions, it seems like it could be a good tool for activists who are interested in working within the system, but maybe don’t have time for a city council meeting. What I’m struggling with, though, is getting a good sense of how the program can be applied and advertised in a real-world setting. While a program like MindMixer might break down some barriers to civic participation, it’s unclear the extent to which it attracts the input of people who aren’t already seriously invested (and would attend a meeting anyway). Additionally, soliciting ideas and feedback using a social media tool raises the usual digital divide and privacy issues. All that said, the platform lists over 3,000 projects that it has been involved with – so maybe that means something is working? If any of you has any experience using this tool – as an activist, administrator, or concerned citizen – please leave a comment, I’d love to learn more! Stay tuned for updates on the first and last reasons later this week. I know you all thought you’d be rid of me at the end of the quarter, but I wanted to stop in again and tell any of you who are still reading about the documentary I just watched: Howard Zinn: You Can’t be Neutral on a Moving Train. The film tells the life story of one of my favorite historians and activists Howard Zinn who was involved in labor, anti-war, and freedom of speech movements from the middle of the 20th century until his death in 2010. The documentary includes Zinn speaking about his life as well as recordings of people he knew and news footage from historical events. If you’re in the mood to be inspired, check it out! Also, if you have not read Zinn’s writing, check that out too. I’m not exaggerating when I say that A People’s History of the United States changed my life. Rather than besiege all of you with yet another description of whether/how a brand is using social media to promote their products and services, I thought I’d take a radical approach and discuss how one group of activists is using social media to discourage you from buying any products or services – no matter how well they’re advertised. It’s that time of year folks, and Buy Nothing Day is right around the corner. What is Buy Nothing Day, you might ask. It’s pretty much just what it sounds like – an international group of activists spearheaded by Adbusters magazine are encouraging people all over the world to buy nothing for one day. In the US Buy Nothing Day is scheduled to coincide with Black Friday (the day after Thanksgiving) which is widely described as the busiest shopping day of the year. In the 20 years since the first Buy Nothing Day was held, the concept has spread around the world and is currently being promoted by activists in over 65 countries. In the past, major traditional media outlets have declined to run Buy Nothing Day advertisements making the web and social media a prime avenue for spreading these activists’ message. Buy Nothing Day supporters are using multiple social media platforms to spread their message. On Twitter the hashtags #buynothing and #OCCUPYXMAS are organizing conversations about Buy Nothing Day and different international chapters have set-up their own handles (ex: Buy Nothing Day UK). Activists have set up dozens of Buy Nothing Day Facebook pages and Buy Nothing Day also has an Interest page on the site. Adbusters, the early champion of Buy Nothing Day (though the concept originated with a Vancouver, BC -based artist) also maintains a section of their site dedicated to activism around the day. Like many activist movements, Buy Nothing Day is less the product of one organization specifically than it is the coalescence of efforts made by multiple different groups. Nevertheless, after analyzing the Buy Nothing Day social media campaigns it is clear that the aims of Buy Nothing Day activists are two-fold. 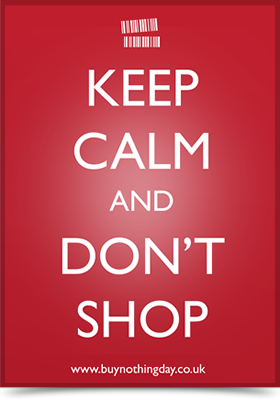 First, Buy Nothing Day activists aim to encourage more people to participate in the day by not shopping. Second, Buy Nothing Day activists hope that the day will raise awareness about what they perceive as the negative social, economic, and environmental impacts of rampant (out of control) consumerism. Have Buy Nothing Day activist met these objectives? In a word, no. Black Friday is still a popular shopping day and the world economy continues to be driven (for the most part) by consumer capitalism despite persistent increases in the amont and severity of income inequality and pollution. With that said, it is rare for activists to fully achieve their objectives (it’s been more than half a decade since the birth of the civil rights movement and yet, despite many gains, racism persists) and establishing metrics for success, particularly the impact of people not doing something, is notoriously difficult. That said, there is some evidence that Buy Nothing Day activists’ messages are resonating this year. The author of The Story of Stuff (mentioned earlier here) has developed a Buy Nothing Day campaign – Buy Nothing, Do Something that includes a pledge that Buy Nothing Day participants can sign. It has received over 2,000 signatures so far this year. Other promising metrics for this activist campaign are that more than 100, 000 Facebook users have liked the Buy Nothing Day Interest page mention above, that close to 14,000 have liked the Buy Nothing, Do Something page, and that approximately 33,000 have liked the Adbusters Buy Nothing Day page. All of this ‘liking’ doesn’t mean concrete outcomes, though. While actual outcomes are harder to quantify, the more than $44,000.00 that has been raised to support WalMart Black Friday Strikers is one measurable outcome of activist effort related to Buy Nothing Day. While it’s too early to tell what (if any) impact Buy Nothing Day will have this year, the strategies that these activists have used to attract people to their cause exemplify the different social media options that are available to activists. Additionally, the difficulty in finding and measuring Buy Nothing Day’s tangible outcomes typifies the difficulty that all activists, companies, and organizations have in calculating social media ROI. With so many conversations happening online, it can be hard to keep up! In order to better keep track of what people are saying about social media activism on a variety of web platforms, I created a social media dashboard. I followed the directions listed here but found that developing a dashboard that is useful and accessible is harder than it seems. You can check out updates to the sm*activism dashboard here but keep in mind that it’s a work in progress. If any of you have experience developing social media dashboards, I welcome your suggestions! As those of you who’ve been reading this blog may know, I’m very concerned about the state of the environment and a huge fan of environmental activism! I’ve always gotten involved with environmental groups using traditional channels (mail, email, and real-life action) but the other day I thought: why not switch things up? I got myself on to Facebook and looked up some of my favorite organizations. What I found were a lot of pages that looked pretty much alike: bold cover photos, status updates about environmental issues, etc. But with a little poking around I discovered that on Facebook, like in so many other places, the devil is in the details. To demonstrate this point let’s compare the pages for two organizations: Greenpeace International (a leader in leveraging social media for the environment) and the California Student Sustainability Coalition (CSSC) (a smaller higher education-focused group [full disclosure: I was the co-chair of this organization several years ago when it was much less media savvy]). While it’s probably not fair to compare Greenpeace – a major international organization, with the CSSC – a much smaller California one. Social media has the promise of leveling the playing field by allowing small organizations with web savvy members to develop a social media presence that is just as sophisticated as that of a larger organization. CSSC has done a great job of building their Facebook page so far, but by learning from Greenpeace’s success they have the chance to present an even more sophisticated and compelling Facebook presence. 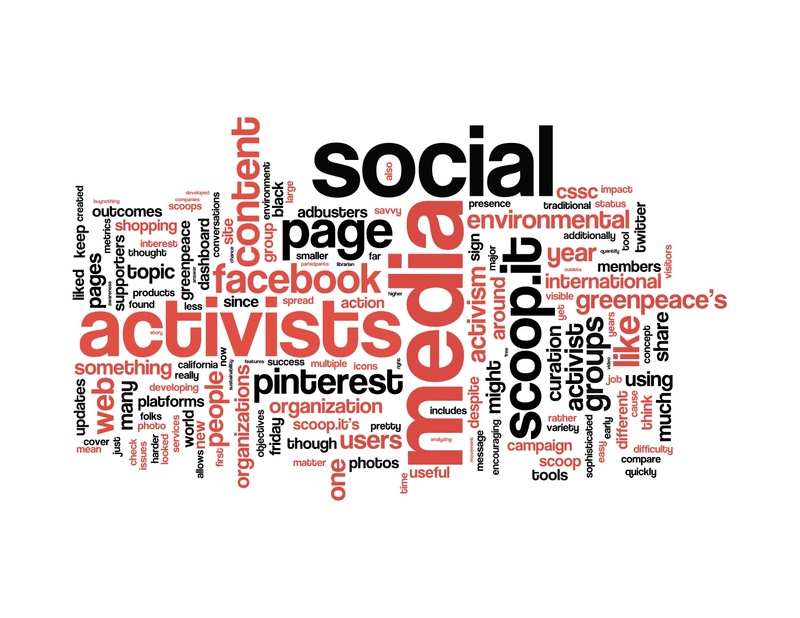 Social Media Activism on Scoop.it! If you didn’t get enough curated content action after checking out this site’s Pinterest board, feel free to head on over to the new social media activism scoop I created on Scoop.it. Now I’m sure some of you are thinking: new scoop? what the h*ll is she talking about?! Let me explain. Scoop.it, like Pineterest, is a web curation tool that allows users to “scoop” up web content and share it with others on the site or via other social media platforms like Facebook and Twitter. Despite Scoop.it’s similarity to other curation tools like Pinterest, there are some salient differences. If Pinterest is the web’s answer to a corkboard, then Scoop.it is the digital version of a ‘zine. While Pinterest is all about visuals, Scoop.it is content focused. In fact, some of the items I placed in my topic were journal articles that have no associated graphics at all. While these would look borring and ugly on Pinterest, they add substance to my Scoop.it topic. Additionally, Scoop.it takes some of the hassel out of curating content by scouring the web to find content that might match your topic. By doing some of the research for you, Scoop.it makes it easy to build up a well-rounded topic page quickly. Finally, Scoop.it’s layout is sometimes cited as being more professional than Pinterest’s. Though I think that’s a matter of opinion, I did like Scoop.it’s simple color scheme and large, easy to read scoops. So, you might be wondering, what does this mean for activists? After reviewing its features, I think Scoop.it would be a useful tool for activists who are trying to leverage social media. Groups could share scoops on applicable topics with their members and in doing so provide them with relavent content on a variety of sources. Since Scoop.it is so content-focused, it allows activist groups to really share their issues (most likely with existing supporters or interested users) rather than simply sharing provocative photos (which are more useful for drawing new visitors to the cause). In summary, for social media activists the decision about whether to use Pinterest or Scoop.it is not either or. Instead, groups should identify their target audience (potential supporters or long time members) and pick curation tools that best meet their needs. BONUS: For all you library folks checkout this Librarian bloging about curation tools! Why is Pintrest SO Popular and Can Activists Get in on the Action? 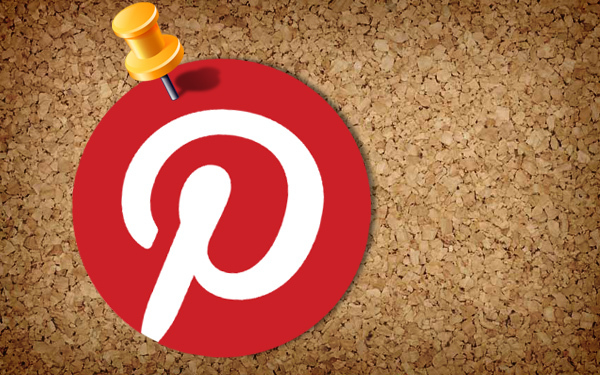 You’ve probably heard of Pinterest, but in case you haven’t, let me tell you about it. Pinterest is a social bookmarking site that allows users to save blog posts, news stories, infographics, videos and other bits of information by “pinning” them. Users organize these pins on to themed boards (think: fashion, cakes, cute cats, etc.) Each pin is displayed on the board as an image. If this is sounding a bit confusing think: cork-board for the web. Since it went on-line in September of 2009 Pinterest has exploded! The site gets close to 20 million unique views a month and users spend an average of 98 minutes a month browsing through pins, commenting, and re-pinning (2). So what’s making Pinterest so popular and how is it different than other sites like Flickr and YouTube? One of the main differences is Pinterest’s focus on networks. While Flickr and YouTube allow comments, Flickr does not have the “like” feature which is a social media staple (1). Additionally, both YouTube and Flickr are missing the equivalent of Pinterest’s RePin function which allows users to easily pull other people’s pins onto their boards. Finally, Pinterest makes it extremely easy for users to follow one another like they do on Twitter. While it could be that Pinterest is just the next ‘new thing’ his easy sharing across a network of linked users might explain Pinterest’s popularity as well as give it some staying power. Despite Pinterest’s popularity, some of you might still be wondering: Can activists use Pinterest? Isn’t it just for fashion and foodies? To answer these questions you need to look no further than the Pinterest boards maintained by some leading activist organizations: GreenPeace, ACLU (NJ), and the Human Rights Campaign (these just happen to be organizations that I’m into, do your favorite activist organizations use Pinterest?) What all these organizations have done is used Pinterest to pin powerful images, videos, cartoons, and infographics that support their message. While they might not get the traction that the hottest new wedding photo does, activist Pinterest boards are a great (easy) way for groups to share information to many interested Pinterest users who want some substance with their style.